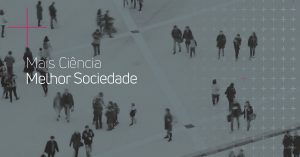 Ciência Viva and the Foundation for Science and Technology are the promoters of this session of launching the program “Mais Ciência, Melhor Sociedade”, which will take place on October 31st at 2 pm at the Thalia Theater in Lisbon. This cycle of meetings aims to present the work in progress carried out by researchers and heads of institutions supported under the Program of Encouragement to Scientific Employment in 2018. These sessions will continue in a cycle of meetings in Centros Ciência Viva, to be held from November throughout the country, open to the public and especially geared to the school population.